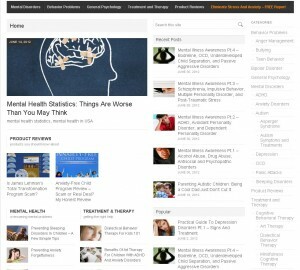 MentalHealth21 is a premium blog where readers can find information and tips on variety of mental health topics. The site is based on WordPress and it is a modified premium template, that was altered and edited to fit the needs of the admin as well as the users. The layout resembles that of popular newspaper and magazines, with the home page presenting each article in image and headline form, so that users can quickly ad easily navigate through the vast amount of content. The site is also being promoted and optimized via SEO, both on page and off page. The primary method of SEO for MentalHealth21.com is article marketing and social media.